The Digital Excellence Center is your online portal to access resources, tips, and shortcuts for using the Talkwalker platform more effectively. Designed for both new and advanced users, this centralized self-service hub gives you easy access to the best practices on how to protect, measure, and promote your brands. The DEC is aimed at supporting users on their journey towards becoming Talkwalker experts, and is essential for onboarding new team members. 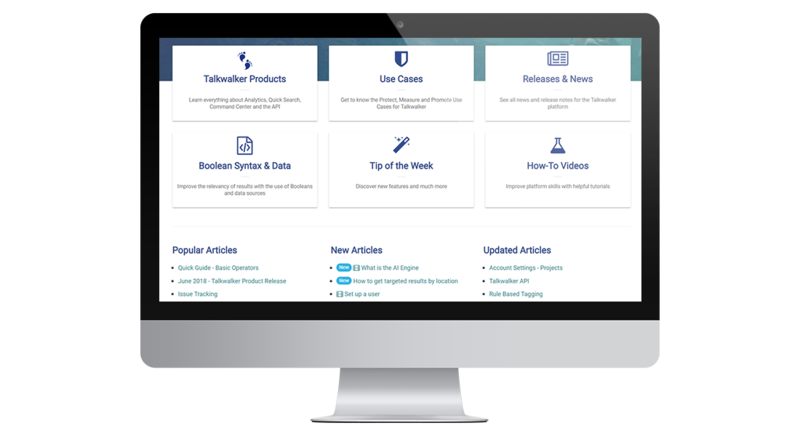 Dive into a searchable knowledge-base of Talkwalker product guides, inspirational use cases, new release updates, Boolean search query building advice, tips of the week, tutorials, and much more. It’s the one place for all things Talkwalker.